The ultimate food gift for Christmas! The stunning Luxury Collection Hamper is perfect for treating family, friends, clients or staff. 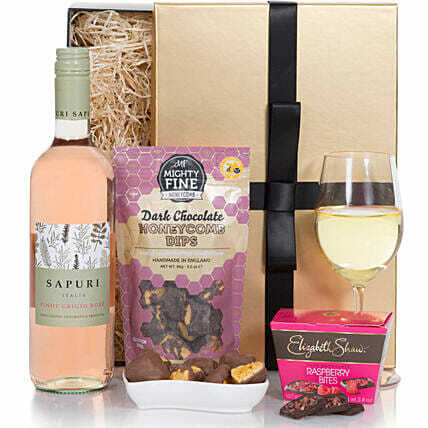 A well balanced Californian Zinfandel partnered with an assortment of mouthwatering indulgent sweet and savoury food treats, all presented in a beautiful wicker basket. Store the wine in the refrigerator. Please refer to the expiration date on the bottle and consume your wine before that. Store your chocolates in the refrigerator.If they are exposed to high temperatures, they may begin to soften, compromising the appearance and flavour.